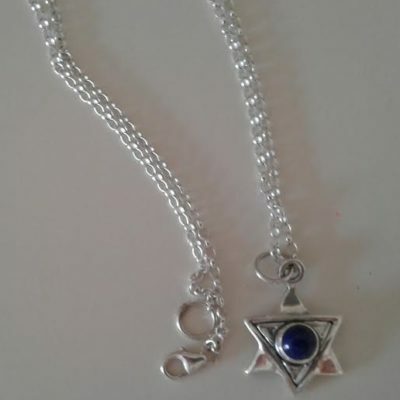 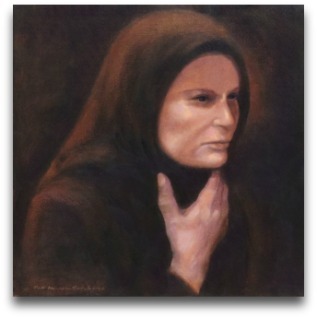 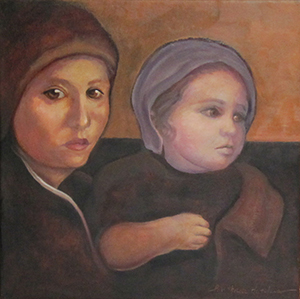 Home / Shop / Prints / Is my dolly jewish? 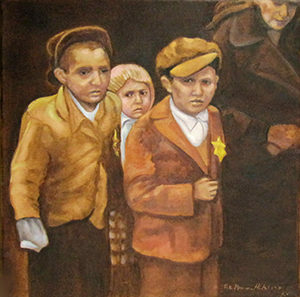 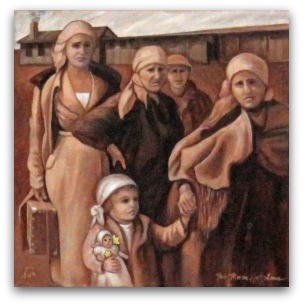 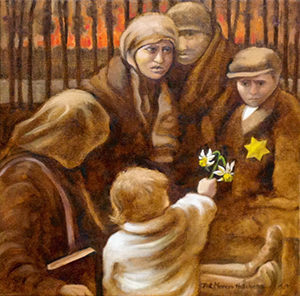 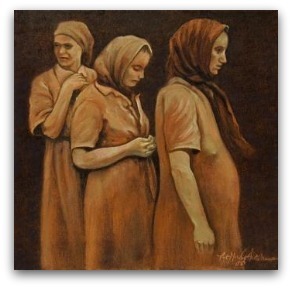 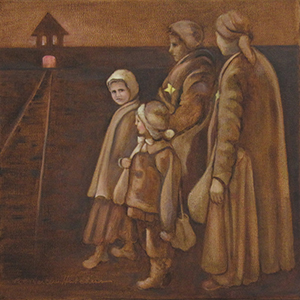 That is the title of this painting of women and children standing in front of one of the smoking crematoria in Auschwitz. 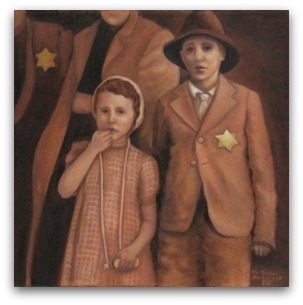 Among them I placed little Sylvia and her dolly, both with yellow stars.